Asheville lived up to its reputation. The downtown was a wonderful eclectic jumble of art galleries, book shops, coworking spaces, coffee shops that transform into cocktail bars at 5pm, wig shops, street art, stores that just sell just yarn and knitting supplies, and brew pubs for days. One music venue called The Orange Peel had “Social Aid & Pleasure Club” painted on the building (and I wished I’d been there to hear Explosions in the Sky in April). It was an artsy fartsy mess of progressive hippy nonsense, and I loved it. This is how Sunny does bookstores…she finished this chapter book before we left. I sat in the bus and sipped coffee one afternoon, working on blog posts, while Brad & the girls explored the Asheville Museum of Science. In our campground we had neighbors pull in besides us that had their Instagram handle displayed on their van window – and they were another full time RV family that we follow on Instagram! We sat outside with them at dinner time and chatted about life on the road. They’ve been at it for 3 years and had veteran perspectives to share. 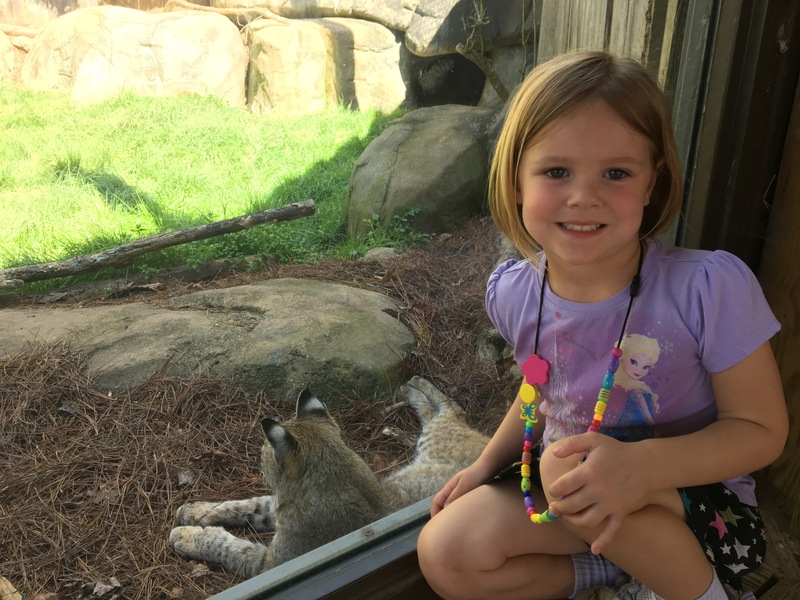 Because we could use our museum pass there, we visited the Western NC Nature Center, expecting it to be like other Nature Centers we’ve visited…but it was actually a whole zoo! We have been to so many places in the last 8 months with similar educational experiences, but I love how engaged they still are with each new place! 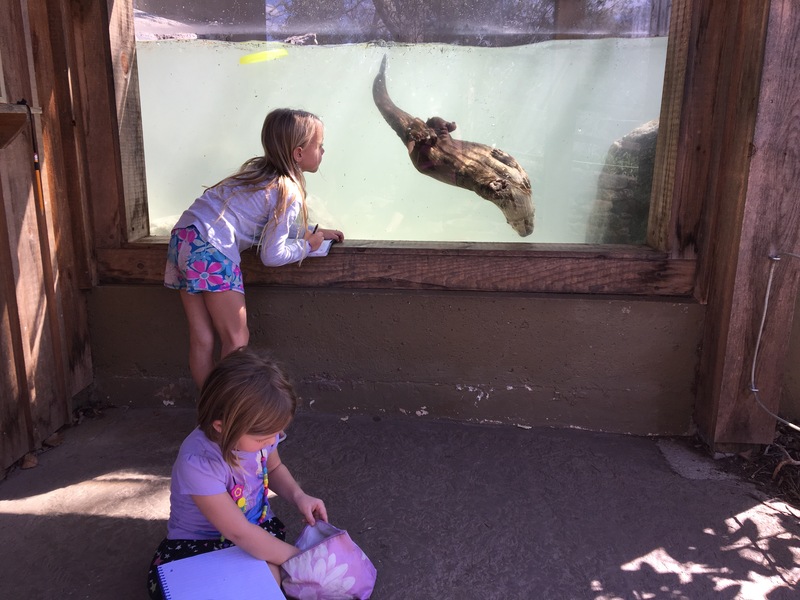 Sunny’s favorite animal changed from cheetah to otter on this afternoon. We thought we would be spending the afternoon indoors looking at exhibits and maybe a few animals in tanks. 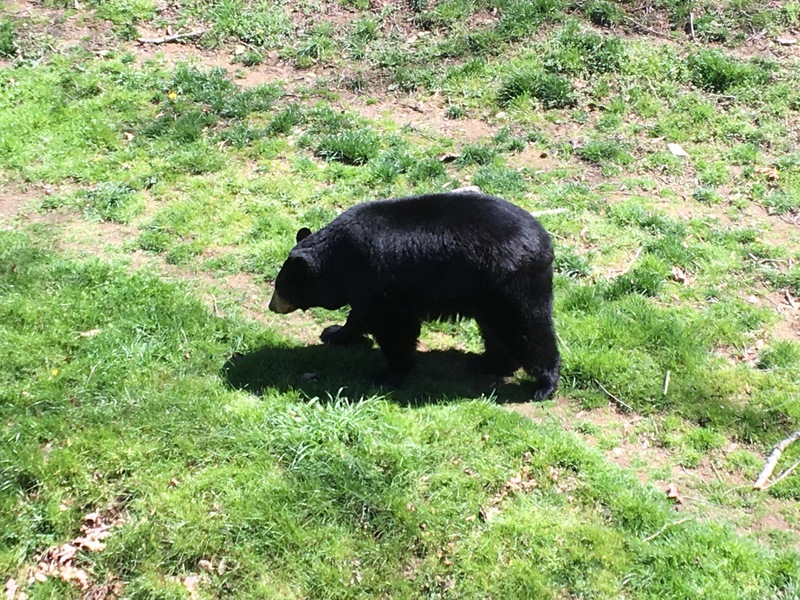 But instead we saw bears, deer, wolves, foxes, raccoons, cougars, and all sorts of other interesting animals. 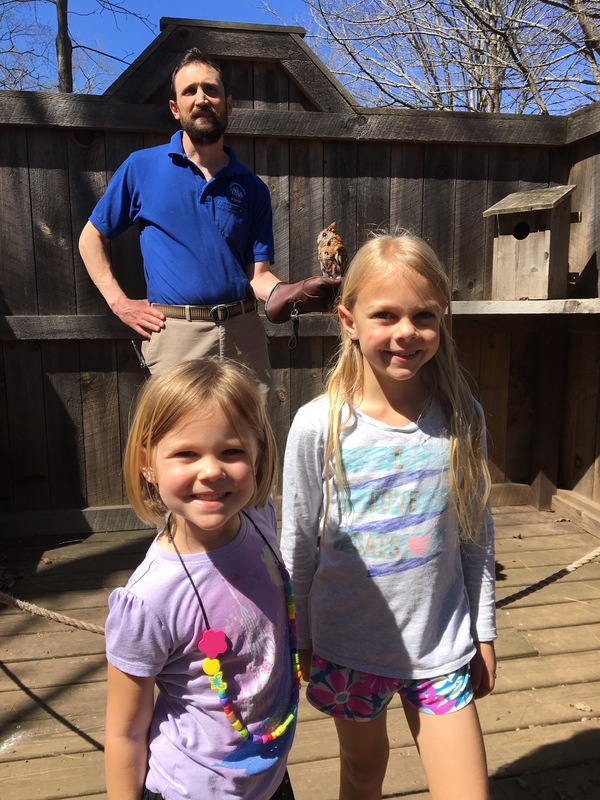 We got to meet Junior the screech owl and learn a lot about these beautiful birds. 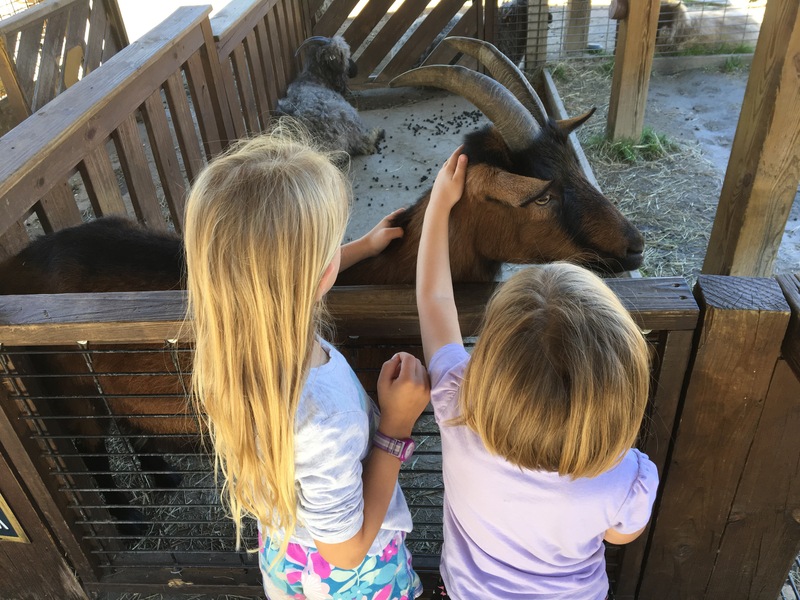 This place even had a small petting zoo. We got so close to this bobcat who was enjoying the shade on this hot afternoon. 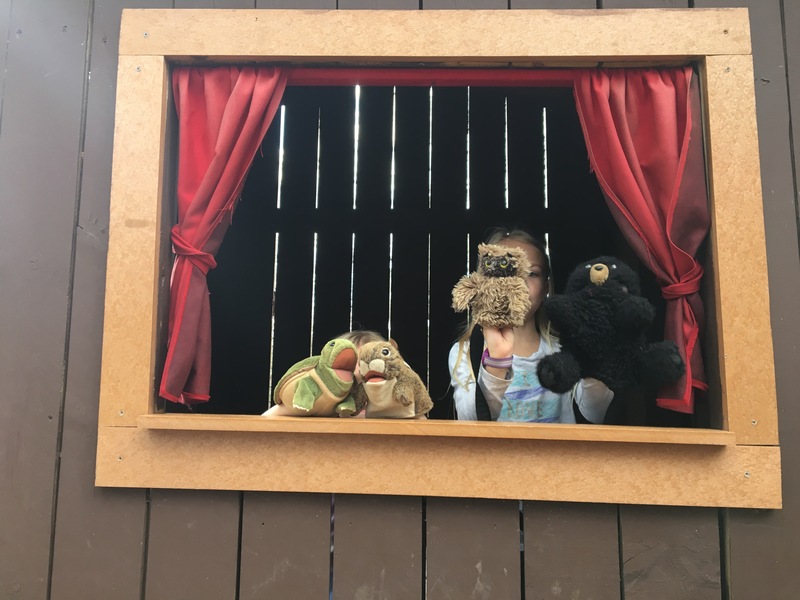 A quick puppet show at the Nature Center. Traveling the way we are – with kids and on a budget – means that the way we experience cities is a little different than it would be for some. We almost never eat out, due mostly to cost, so we don’t experience the different flavors of each region in that way. Since there are cool things to see in every location, we are extremely choosy about when we will pay for tickets for something. 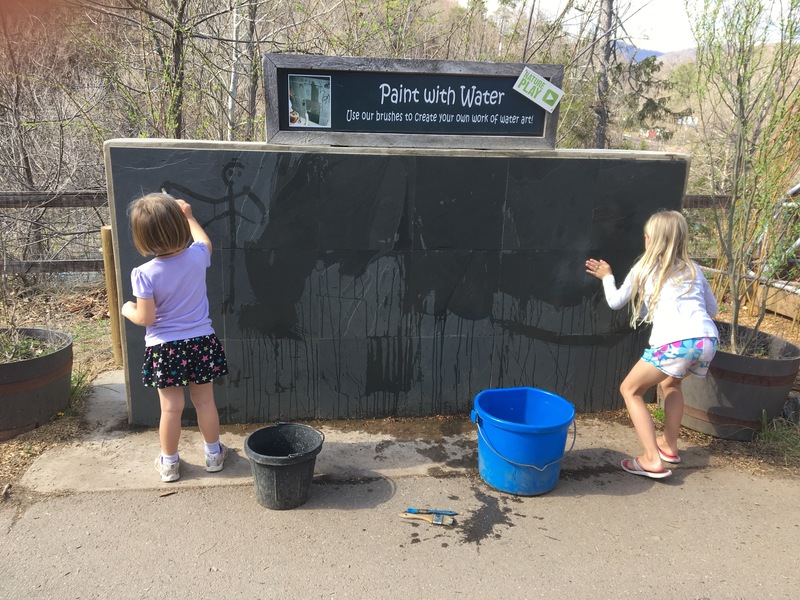 We mostly stick to National Parks (with our 1-year pass), museums that are free with our ASTC Travel Passport membership, and activities that are free of charge. That means that we don’t see everything along the way – like the caverns in Missouri, Elvis’s home in Memphis, or the Biltmore estate in Asheville. We rarely experience a downtown more than a quick drive or walk through, and we see basically none of the nightlife in any places. 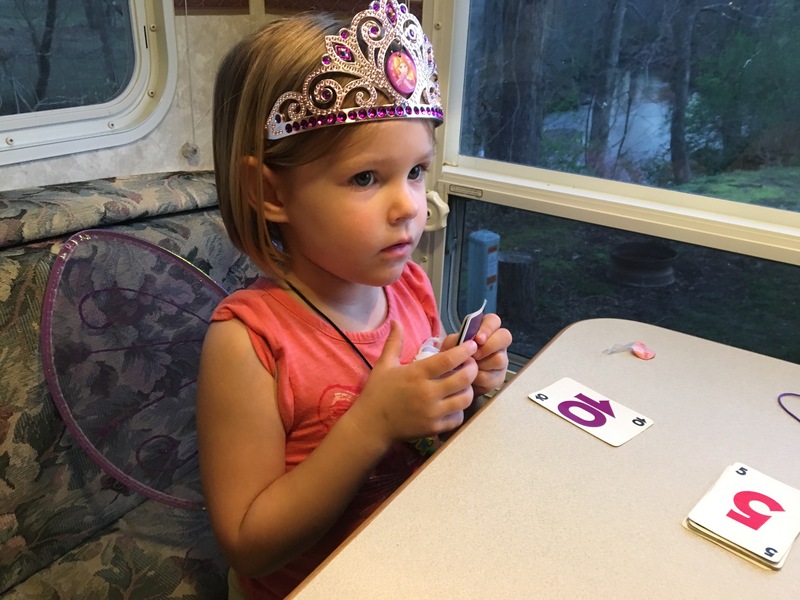 Sometimes our “nightlife” involves SkipBo with fairy princesses. 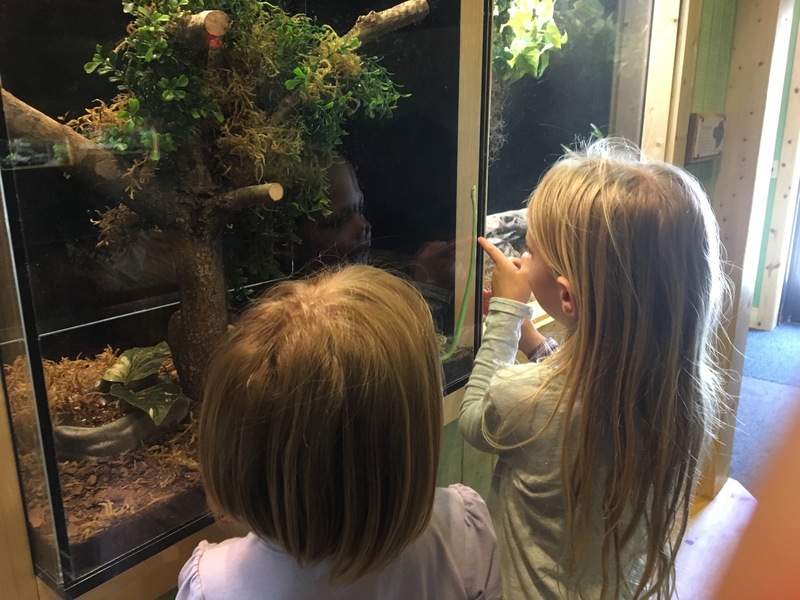 nature centers. So even though we don’t go to many shows or attractions or buy all the T-shirts, we drive with the windows down when the weather is nice to feel and smell the air of each new place, and we try to do at least one thing in each location to make sure it will be memorable. So even though I could let myself become overwhelmed by everything there is to miss along the way, I try instead to just try to keep up with this treasure trove of memories we are creating together as a family. And every once in awhile, I find a calm moment in the middle of this circus to take a breath, and I am filled to overflowing with gratitude that the 4 of us get to have this adventure together. A morning hike on the Blueridge Parkway Trail. Enjoying the walking sticks that they made with Brad in Arkansas.